As the 2018 holiday season opens, our Great Estates have hung up their ribbons and bows, set up the Christmas trees, and created a festive atmosphere. The historic homes are dressed in their finest, reflecting periods in American history from the Revolutionary War to the Gilded Age, up to World War II. Six mansions and three Colonial homestead offer open houses and tours. The tradition continues, as the Great Estates are now mansion-museums. There are holiday Whodunits just for children at Staatsburgh and a Yuletide Tea at Wilderstein. Visit one or all; each has its own charm. 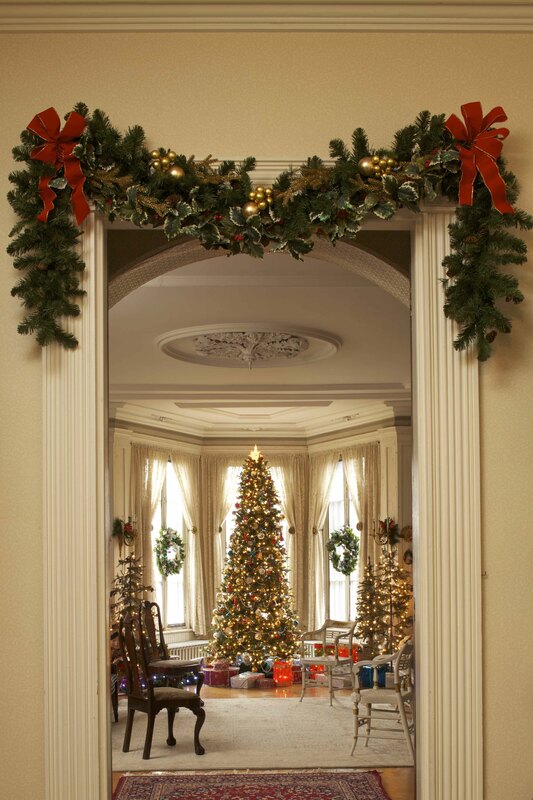 A visit to a beautifully decorated estate will indisputably get you into the holiday spirit! 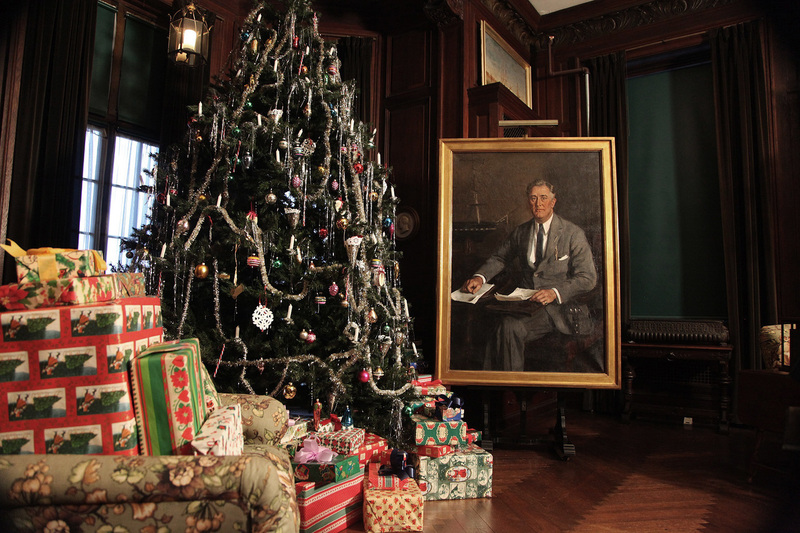 Thursday- Sunday., Nov. 23 - Dec. 23, & Dec. 26 - 31: “A Gilded Age Christmas” at Staatsburgh State Historic Site. 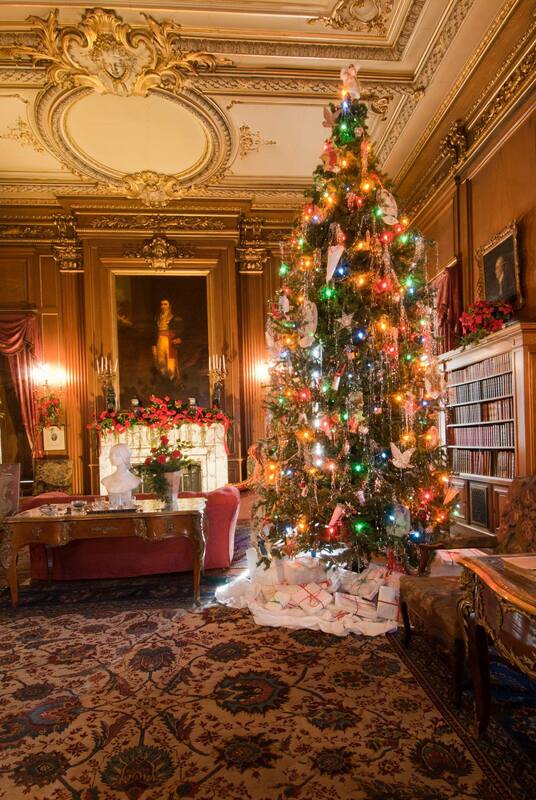 Much like Scrooge, you can visit a Christmas past at the extravagantly decorated Mills family mansion. 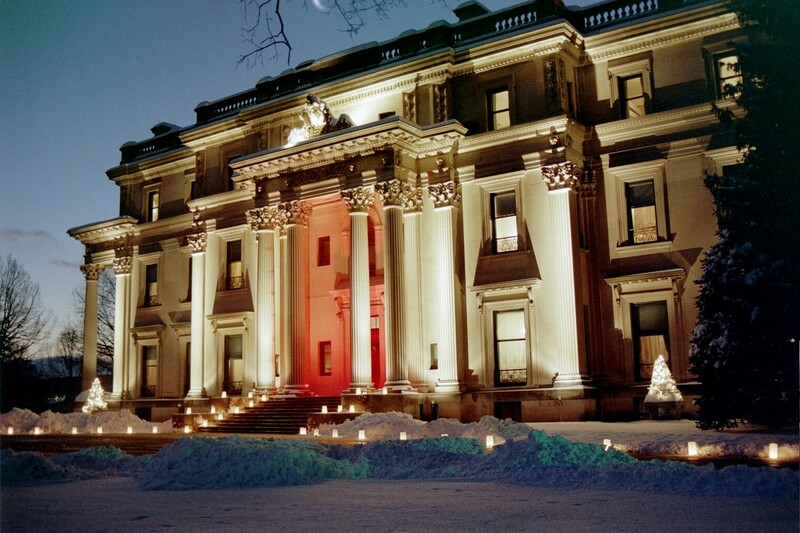 Experience Christmas in turn-of-the-century style, recreating the atmosphere of holidays long-ago in one of the great Hudson Valley estates. 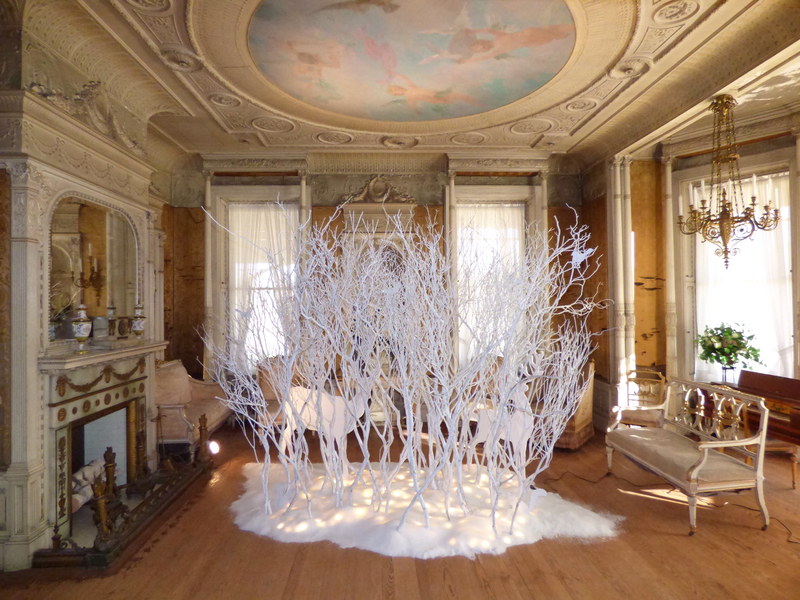 The mansion is opulently adorned with enormous trees and elegant floral arrangements! Thurs. – Sun., 12 to 4 pm, last tour at 3:30 pm. Special evening hours on Friday, December 21, from 6 - 8 pm, with festive live music, costumed interpreters and shopping in the museum gift shop. $8, $6/sr., age 12 & younger free. Nov. 23 - Dec. 31: The National Park Sites in Hyde Park are all decorated for Christmas! The first two are open daily; Val –Kill is open Thursday – Monday. Sat., Dec. 8: 13th annual photos with Santa and making of Holiday Cards for Troops at The Franklin D. Roosevelt Presidential Library & Museum, Henry A. Wallace Visitors Center. 1- 4 pm. Live music, free photos with Santa from 1 - 3 pm. Make holiday cards for sailors on the beginning at 12pm. Children's book authors read from and sign copies of their books. Featured books available for purchase in the New Deal Store in the Wallace Center. Presented by the Roosevelt Library and Friends of the Poughkeepsie Public Library District. Refreshments served throughout the afternoon. 845-486-7770. Rte. 9, Hyde Park. Glittering decorations sparkle even more in the warm glow of candlelight during the Candlelight Tours of Clermont on Sunday, December 9th from 3pm- 6pm. Wassail and traditional holiday goodies served in the historic kitchen. Adults $12, children under 12 $5. Saturday, December 15th is Christmas at Clermont Open House at Clermont State Historic Site. A great day for families! 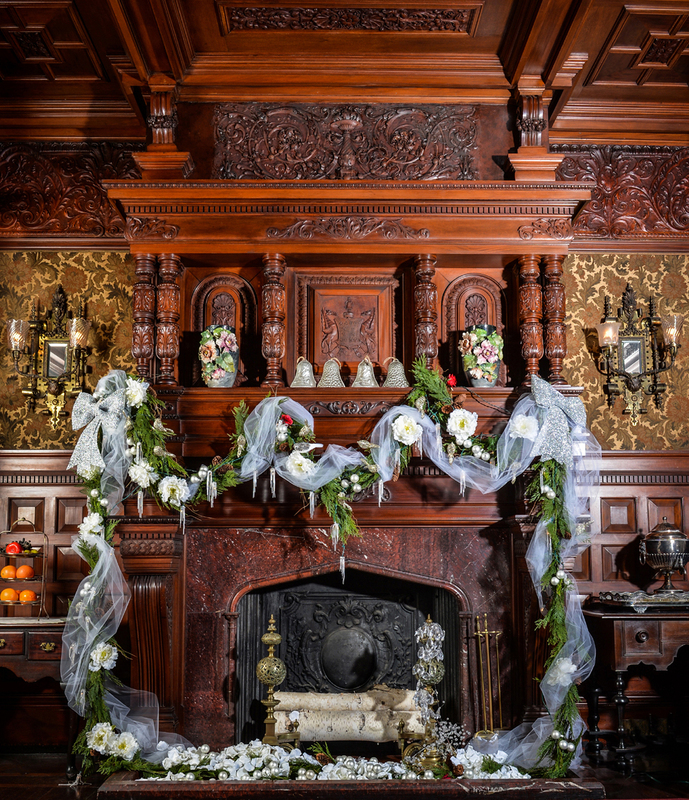 Explore the mansion at your leisure enjoying the holiday decorations with docents available to answer questions in each room. Cider and cookies will be available in the visitor’s center. 11am – 4pm. Free. (518)537-4240. 1 Clermont Rd., Germantown. https://www.friendsofclermont.org/events. 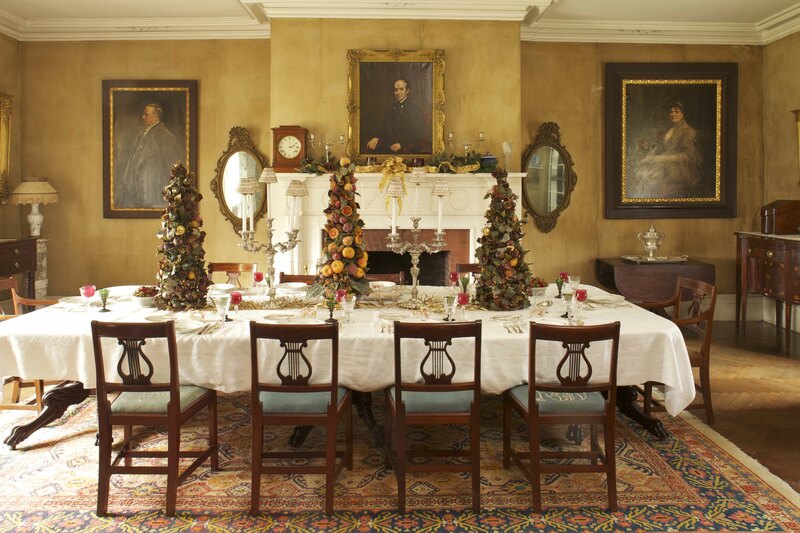 Sun, Dec. 16: Special Holiday Tour at Mount Gulian Historic Site. Tour the Colonial homestead aglow in holiday lights, decorated with fresh greens, ribbons and bows, and sparkle. Holiday refreshments and live music. 3 - 6 pm. $10, $8/senior, $6/child. Festive Holiday Tours: Tues. - Wed. Dec. 18 & 19. Visit the homestead beautifully decorated with ribbons, bows, fresh greens, and sparkling lights of course! 1 - 5 pm (last tour at 4). $8, $6/senior, $4/child. 845-831-8172. 145 Sterling St., Beacon. Sun., Dec. 2: the Old Dutch Christmas Open House takes place at The Elmendorph Inn. Enjoy the festive best for the holidays, featuring student musicians, hot mulled cider, homemade cookies and fresh-baked bread from the "beehive" oven. An annual tradition to launch the season and not to be missed. 1-4pm. Free. 845-758-1920. 7562 North Broadway, Red Hook. Sunday, Dec. 2: Brinkerhoff Historic Site. Annual Christmas Open House hosted by the East Fishkill Historical Society. Fresh greenery fills the homestead. Enjoy music, cookies, mulled cider and eggnog to celebrate the start of the holidays. 1-4pm. (845) 227-4136. 68 N. Kensington Dr., Hopewell Junction. Friday, November 23rd: Santa on the Walkway. West (Highland) entrance of Walkway Over the Hudson from 1-3pm. Walkway Volunteer Ambassadors will be serving hot chocolate, cookies, candy-canes, while supplies last. For Elevator Status, call: 845-834-3641. Dec. 1 & 2: A Child’s Christmas at Clermont State Historic Site! Drop in for stories read under the Christmas tree and treats for children ages 3-10. 10 am - 12 pm. $4. (518)537-4240. 1 Clermont Rd., Germantown. Sat., Dec.8: Yuletide Tea at Wilderstein. One lump or two? Festive holiday happening featuring a variety of tea, finger sandwiches, and homemade delectables. Tour of the mansion included. $30, $20 per child. Reservations necessary. 330 Morton Rd., Rhinebeck. 1pm. 845-876-4818. 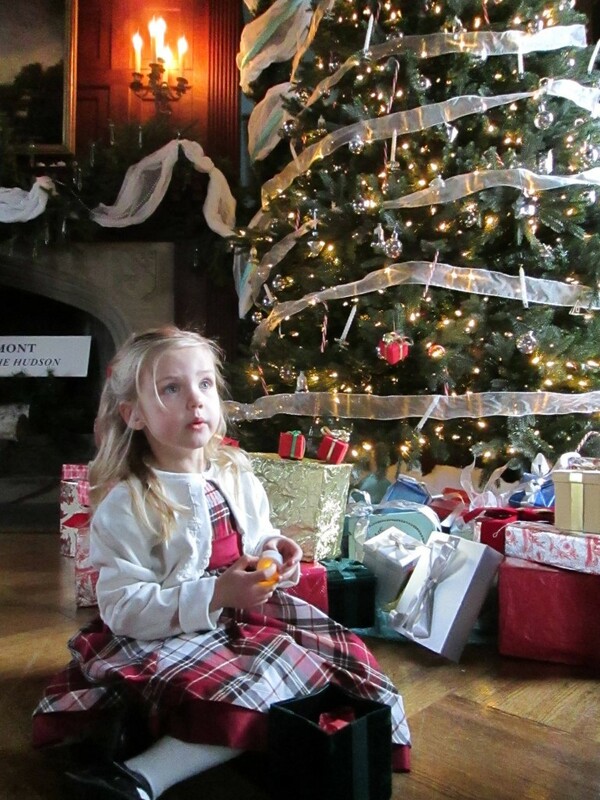 Thurs., Dec. 27: Children's Holiday Tea at Mount Gulian Historic Site. 145 Sterling St., Beacon. Make an old tradition your new one during school break! Relax and enjoy delicious dainty sandwiches and homemade desserts. Learn about a bygone era in an authentic setting where social teas were once standard fare. 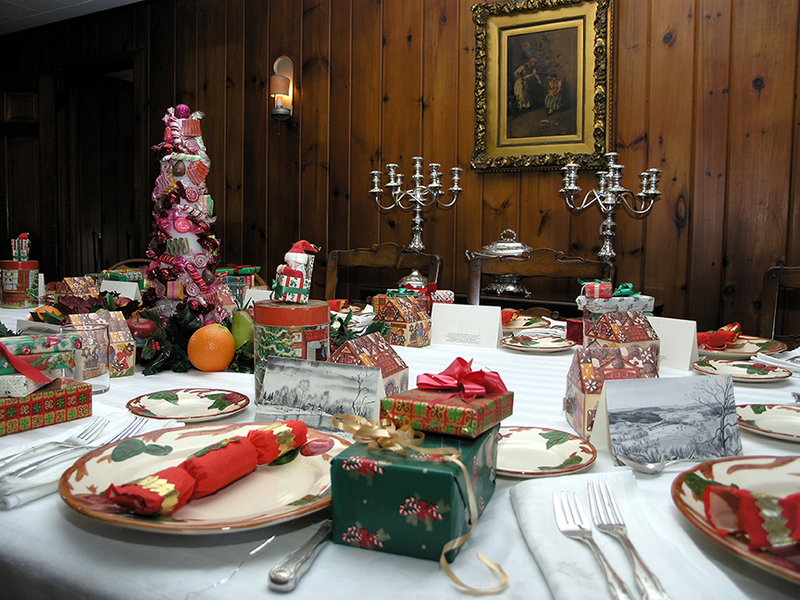 The Tea is held in the homestead’s two beautifully decorated main rooms, at tables set with linens and fine china. Craft project. Prepaid reservations by 12/14. 12-2pm. $22; $17/child. 145 Sterling St., Beacon. 845-831-8172.